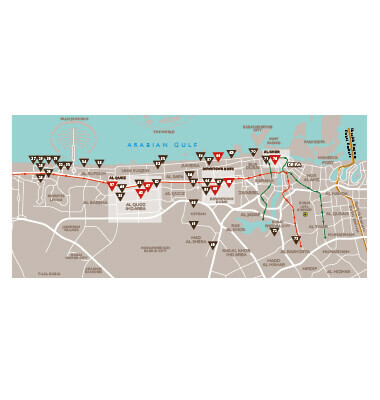 Explorer collaborated with Art Dubai ahead of their annual festival, to produce a beautifully presented map of Dubai and their location. Our award-winning cartographers and in-house experts created a sophisticated map of the city’s road network, area names, significant buildings, attractions and new developments, and marked Art Dubai’s stunning venue and their interior plan of the exhibition. We created and sized the map to meet Art Dubai’s exact specifications, simultaneously promoting this popular, annual exhibition which attracts art lovers from around the world.